- Printing dyeing mordant, Dechlorinating agent for washed fabric. - Medical deoxidizer and sulfonating agent. 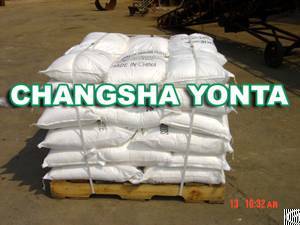 - Bleaching agent of bamboo, wood and paper fiber. - Non-ferrous mineral separation agent. - Waste water disposing agent. - Alkyl spice aldehyde in spice industry. - Depilating agent, softening agent and anti-wear agent in leather industry. - Reducer of developer and protective agent of fixative in sensitization industry. - Bleaching agent ( Sugar, Pastry, Water-soaked bamboo slices, Mushrooms, etc ). - Loosening agent ( Bread, Biscuit, etc ). - Corrosion Protection Antiseptic ( Fruit juice, Can, brewing, grain storage, etc ). - Antioxidant and Fresh keeping agents ( Lily flower, Sea Food, Fruit, Vegetables, etc ). Storage : Store in a cool, dry, well-ventilated warehouse. Street Address: Rm.1717, North Bldg.